From the memorable monuments of Washington, DC to the beautiful beaches and majestic mountains of Maryland and Virginia, history and natural beauty abound in this richly varied region. But, with so much to explore, it may be difficult to know where to begin. Here, we’ve picked out our top ten experiences to make the most of your Capital Region holiday. The most visited national park in the United States, National Mall stretches two miles between the US Capitol and the Lincoln Memorial. It features several iconic landmarks, including the Washington Monument and World War II Memorial. Known as “The Mall”, the grassy, tree-lined expanse plays host to festivals, history-making events and numerous free museums. Home to some of the world’s greatest collections, the Smithsonian Institution offers no fewer than 17 museums – as well as the National Zoo – dotted throughout the Capital Region, all of which offer free admission. Popular museums include the National Air & Space Museum (with locations in DC and Fairfax County, Virginia), the National Museum of American History and the National Museum of African American History and Culture. Cruise the Potomac River to discover some of the region’s trendiest waterfront hotspots. The Potomac Riverboat Company and Entertainment Cruises offer sightseeing tours and water taxis that transport guests along the river to attractions including The Wharf neighbourhood of DC, Alexandria and Mount Vernon in Virginia, and National Harbor in Maryland. 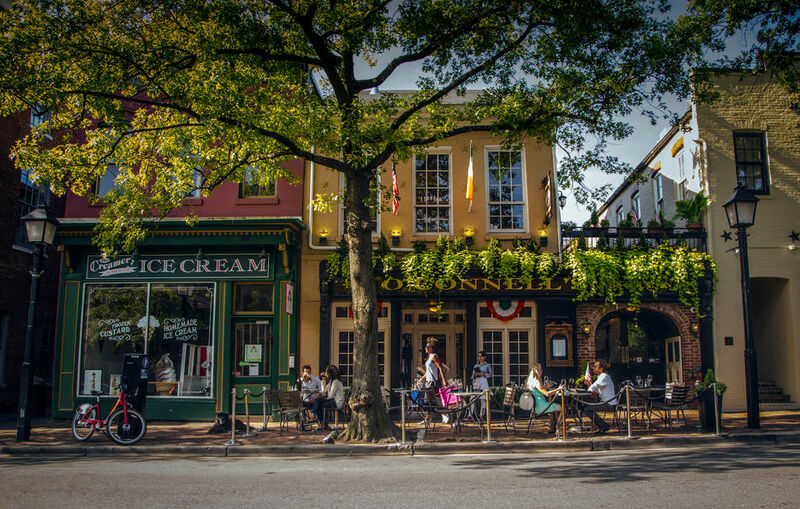 Across the Potomac River from Washington, DC, Alexandria is a nationally designated historic district known for its rich history and beautifully preserved 18th- and 19th-century architecture. Take a stroll or ride the free trolley down King Street in the city’s Old Town district, a walkable mile filled with boutique shops, independent restaurants, and historic attractions. For a great deal, purchase a “Key to the City” museum pass for just $15 and gain admission to eight historic sites. If you’re looking for an offbeat glimpse of history, take the Ghost and Graveyard tour, where you’ll hear the legends and folklore of Alexandria via a lantern-light excursion. Spend a fun-filled day in Fairfax County, Virginia. Start with a visit to Mount Vernon, the faithfully restored estate of America’s first president, George Washington. Tour the mansion and gardens as well as the museum featuring 23 galleries and theatres, more than 700 artefacts and interactive displays. 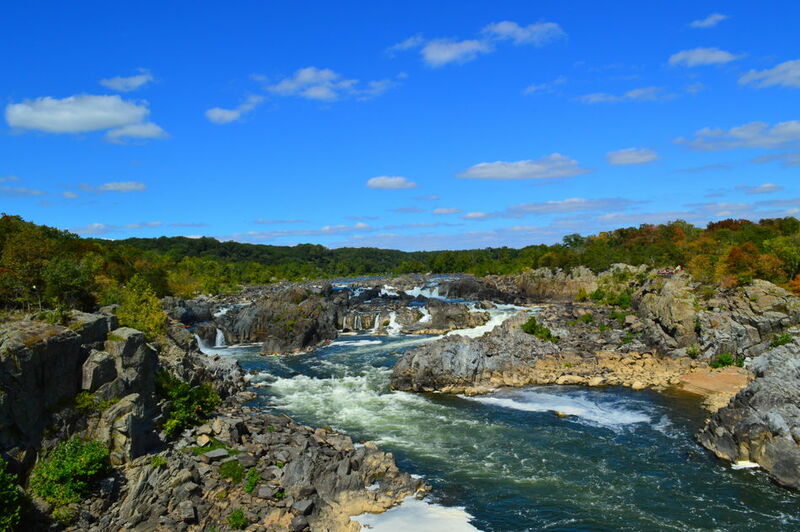 Spend the afternoon shopping at Tysons Corner, one of the premier shopping experiences on the East Coast, or perhaps head to Great Falls Park – an 800 acre site on the Pontomac River where a series of falls and rapids surge through the Mather Gorge. And then, there’s no better way to end your day than with a performance at Wolf Trap, America’s only National Park for the Performing Arts. Dine under the stars by bringing or reserving a gourmet picnic to enjoy on the lawn before the show. Shenandoah National Park is a beautiful, historic national treasure, which includes the scenic 105-mile long Skyline Drive. The park covers the crest of Virginia’s Blue Ridge Mountains for over 75 miles. More than 500 miles of hiking trails and park ranger programs are offered; restaurants, camping and modern lodge facilities are available. At the park’s Skyland Resort, you can experience the fresh mountain air and breathtaking views right from your room or cabin. Resort amenities range from dining to horseback riding on gentle wooded trails. With 144-miles of coastline, you’re never far from the water in Norfolk. Explore the city’s nautical history with a visit to Nauticus and the Battleship Wisconsin, Hampton Roads Naval Museum, or Naval Station Norfolk, the world’s largest Navy base. Afterwards, take some time to explore the region’s waterways with a harbour cruise or take in the waterfront scenery from the land with a walk or bicycle ride along the Elizabeth River Trail. 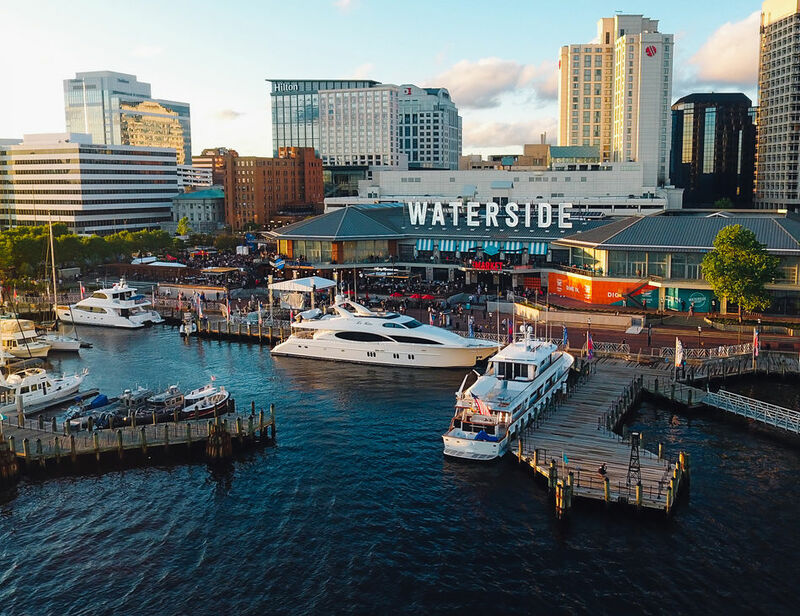 Enjoy dinner on the waterfront in downtown Norfolk’s Waterside District, a dining and entertainment hotspot, before catching a performance by the Virginia Symphony Orchestra or Virginia Opera. Virginia Beach boasts more than 60 kilometres of beautiful beaches and shoreline making it the world’s longest pleasure beach. Explore Resort Beach, action-packed with a fabulous boardwalk, water sports, shopping and nightlife. The 3-mile long iconic American boardwalk is home to crab shacks, nautical themed shops, and a 10-metre-tall King Neptune statue. 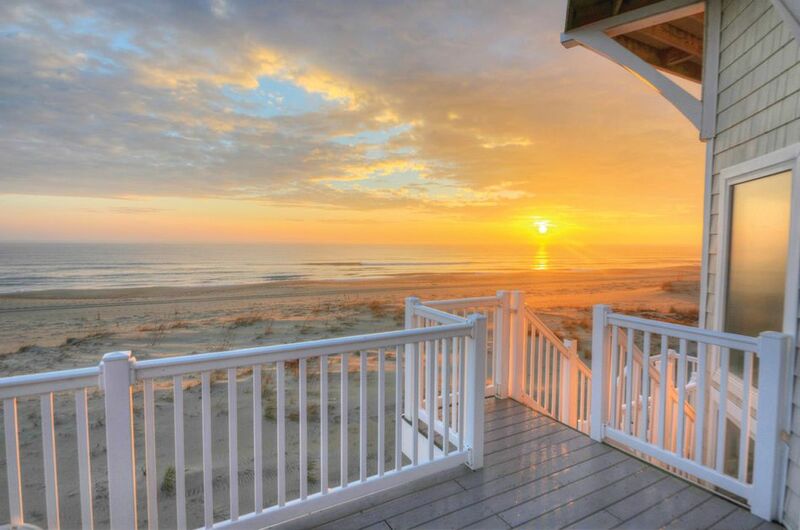 For a quieter experience, families will enjoy the calm waters at Chesapeake Bay Beach. If you want to completely unplug, stay at Sandbridge Beach and watch dolphins play in the surf, shop at a local farmers’ market or explore nature at Back Bay National Wildlife Refuge and False Cape State Park. The Capital Region gazes at its reflection in the famed Chesapeake Bay, America’s largest estuary, spanning 200 miles from the Susquehanna River to the Atlantic Ocean. It offers a stunning diversity of experiences, from sandy beaches to swimming, boating, watersports and authentic waterside villages. The area is known for some of the best blue crabs, oysters and clams you’ll find anywhere. Maryland’s capital city sits on the Severn River and is known for its waterfront, and particularly its sailing. Experience life on the river by attending a sailing school, enjoying a themed cruise, or chartering a fishing boat. Tour the campus of the esteemed US Naval Academy and Annapolis Maritime Museum. Then, round off your day feasting on steamed crabs or other fresh, local seafood at a waterside restaurant.